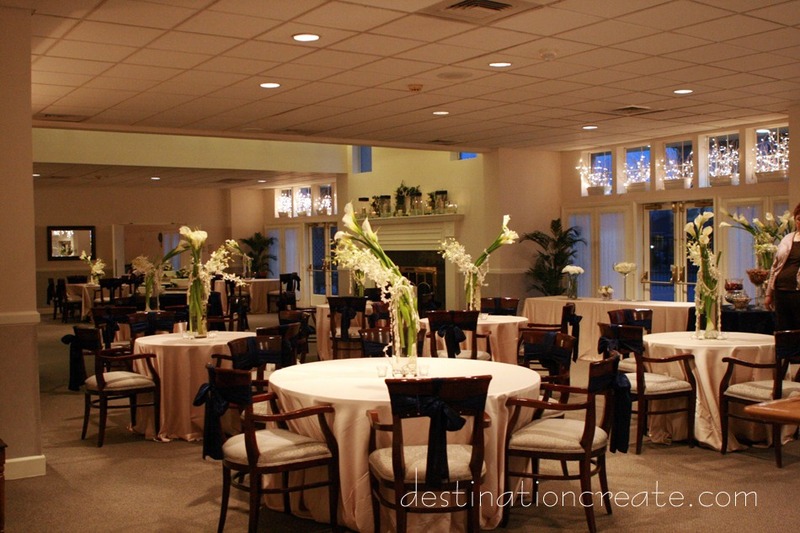 This lush winter white wedding reception held at The Clubhouse at Riverwalk in Littleton Colorado was styled to be both elegant and cozy. Elegance was achieved with a color palette of white and ivory with a touch of deep royal blue. 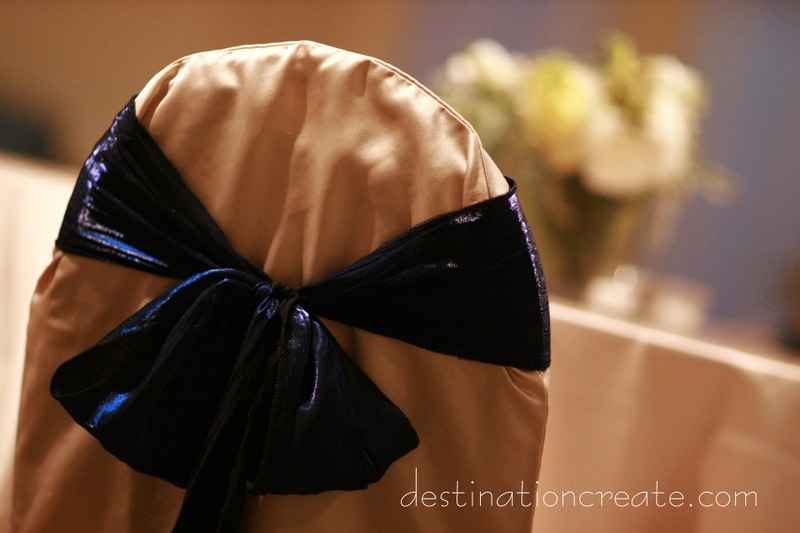 I embellished each chair back with a royal blue satin sash. 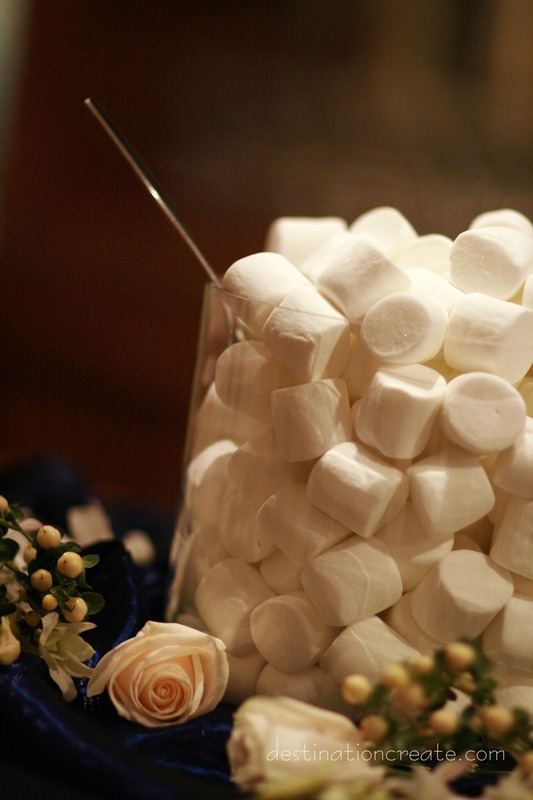 Staying with neutral linens kept the vibe clean and classy so that the focal point became the all white flowers. 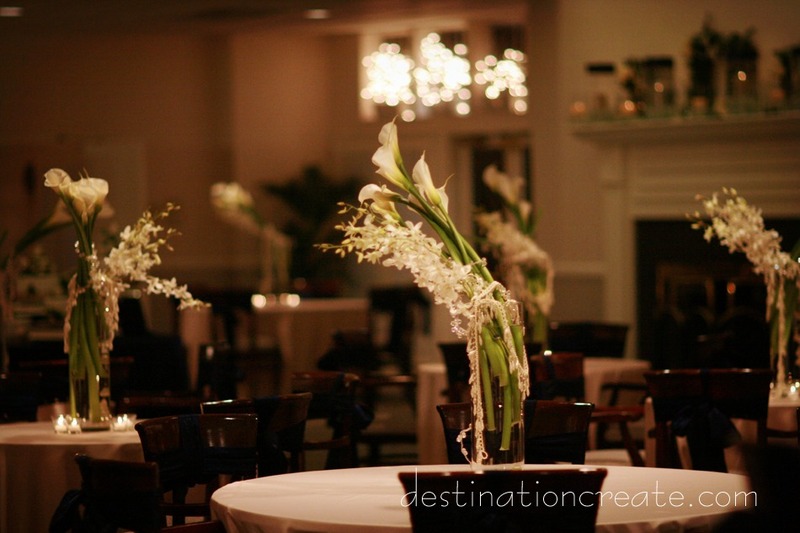 I designed both tall and short centerpieces using all white flowers. The tall “structural” arrangements were so simple and gorgeous! 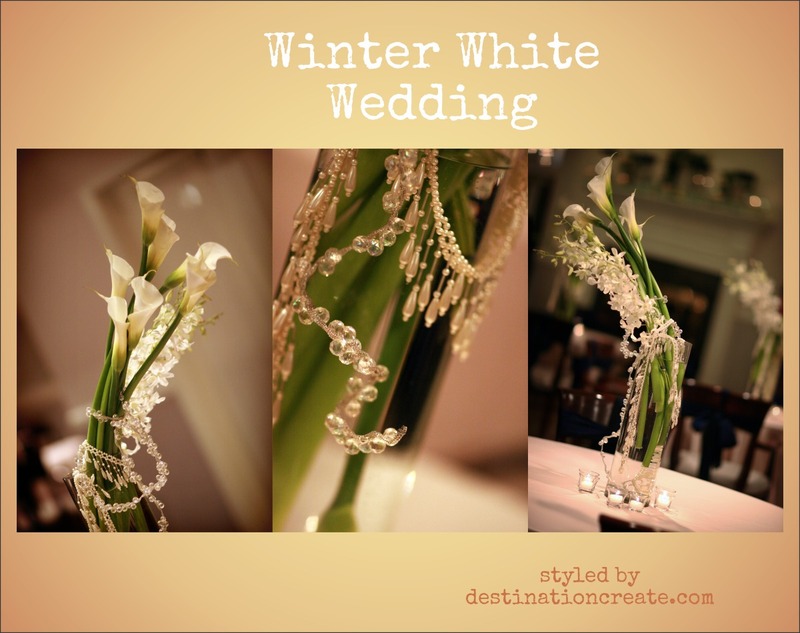 I used large white calla lilies and white dendrobium orchids, both tied into bunches. Beaded garlands loosely tied and draped around the flowers and vases added a touch of glamor. The downside to this type of arrangement is that time must be allowed to assemble this centerpiece at the venue; otherwise the bunched flowers will shift too much during transport. For the short centerpieces I chose roses, white hypericum and cream colored stock. I use stock every chance I get… it has a delicious fragrance. To economize I also used white carnations. 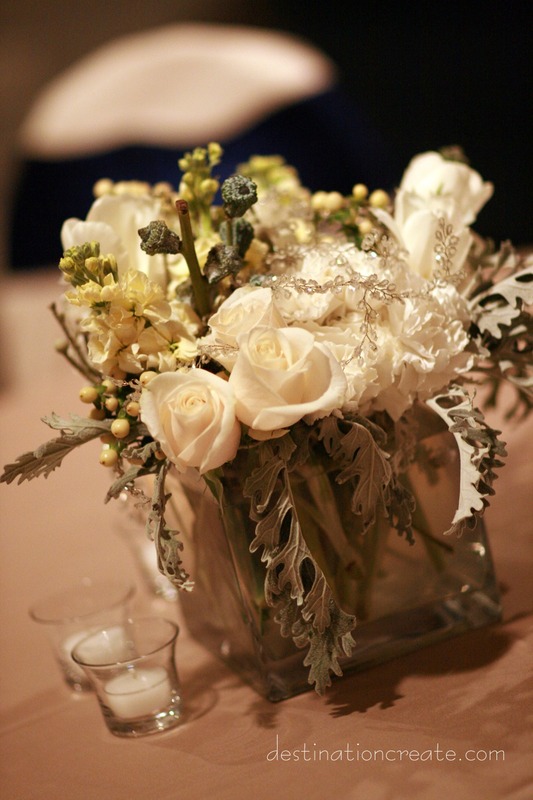 Dusty Miller adds a nice silvery sage to soften the edges of each arrangement. And of course a little glitz was added with delicate beaded stems. I don’t typically love carnations but when they are bunched together they almost look like a hydrangea! Hot chocolate is the epitome of coziness, right? 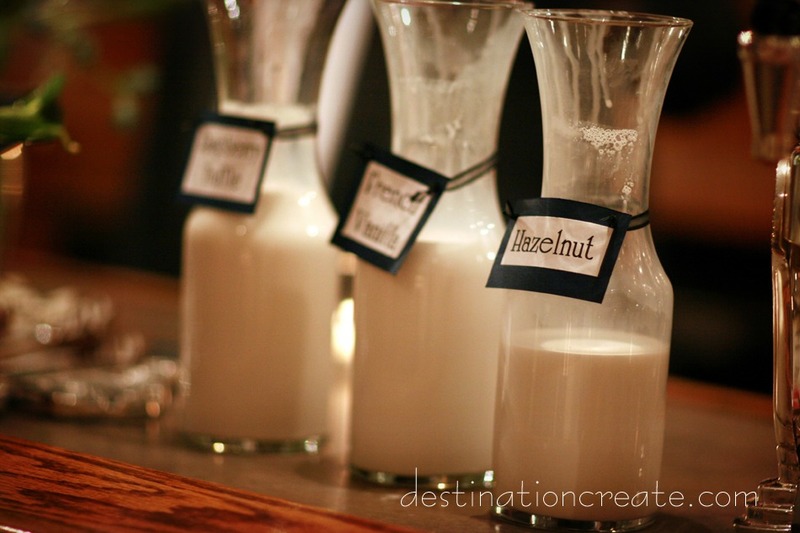 Check out this always popular hot cocoa bar. 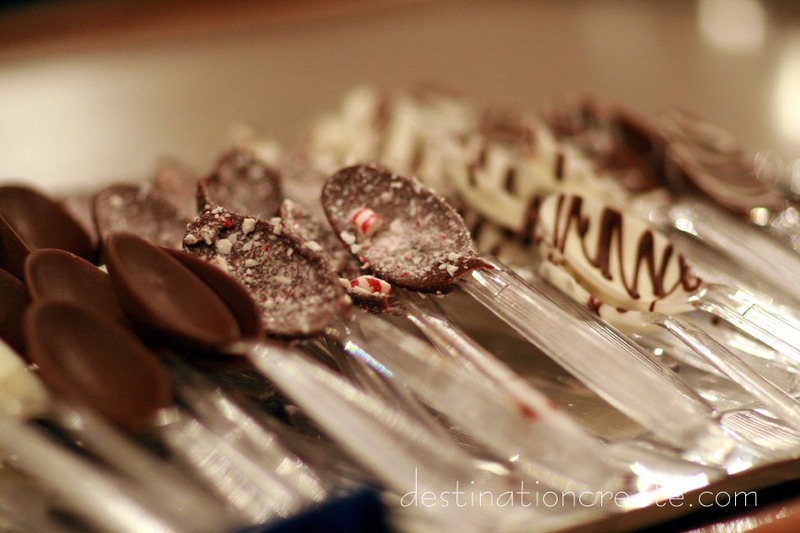 The bride’s Aunties contributed chocolate dipped spoons and candy canes for stirring, marshmallows and a variety of scrumptious flavored creamers. 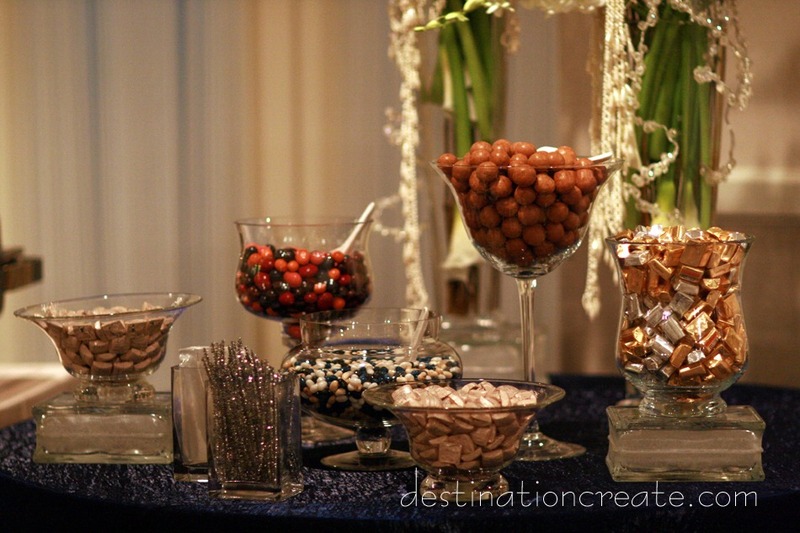 Almost all of my brides want a candy buffet. 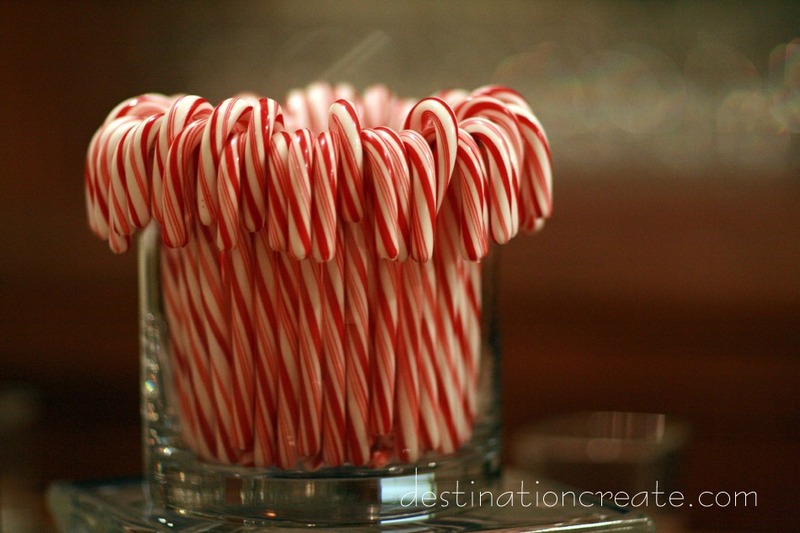 What is it about jars of candy that turns adults into delighted kids for a little bit? 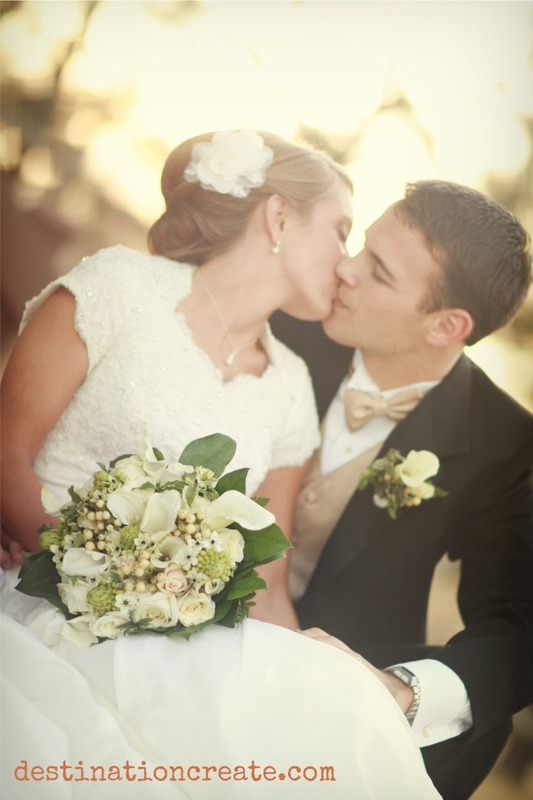 It was a delight working with this sweet couple! Many thanks to Amber Allen for the beautiful images. Written by Cherice Steinhour This little +1 button tells Google you liked what you’ve read. Thank you! 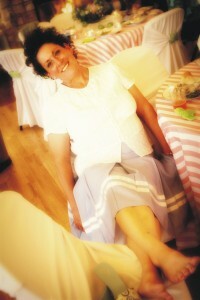 Yellow and blue wedding- fresh, crisp and fun!